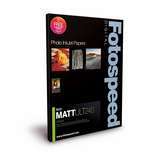 One of the most cost effective printing papers around, the Fotospeed Matt Ultra 240 Paper is a real workhorse in the world of photography as well as an office environment. 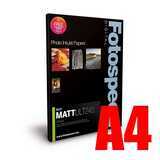 The matt ultra 240 paper is a bright white, mid-weight paper which is compatible with dye and pigment inks, the paper is great for printing high quality photos and has a wide colour gamut, to pick up all those different shades and hues that make up a truely lovel picture. 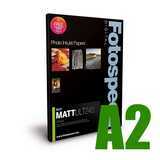 The 240gsm weight of the paper takes it to another level over inferior papers, giving it a professional feel. Available in cut sheets as well as rolls.